incredibly quaint, and it's a very safe, honest place - Keep reading and you’ll find out why. Instagram Gold. This place is ridiculously beautiful, raw, and real. Get inspired! The Faroe Islands are surrounded by the Norwegian Sea and the North Atlantic Ocean. Culturally and Geographically, they are in between Iceland, Norway and Scotland. The Faroe Islands are a self-governing territory of Denmark. They handle most affairs on their own, but rely on Denmark for military support, policing, justice and currency. The Faroes, meaning “Sheep Islands” in Faroese, is fitting because they have a higher population of sheep than their population of people. The total population across the 18 major islands consists of about 50,000 people, most of which (20,000) live in the Torshavn metropolitan area. The Faroe Islands are surrounded by the Norwegian Sea and the North Atlantic Ocean. Culturally and Geographically, they are in between Iceland, Norway and Scotland. The Faroe Islands are a self-governing territory of Denmark. They handle most affiars on their own, but rely on Denmark for military support, policing, justice and currency. The Faroes, meaning “Sheep Islands” in Faroese, is a fitting name because they have a higher population of sheep than their population of people. The total population across the 18 major islands consists of about 50,000 people, most of which (20,000) live in the Torshavn metropolitan area. This map shows the main locations we explored during our 7 day trip. Most locations are were reachable by car. We used the car ferry to take our car to the island of Kalsoy, and also ditched our car for a night while taking the ferry to the Island of Nolsoy. Kalsoy was one of our favorite stops in the Faroes - our hike to the Kallur Lighthouse was unforgettable! Vágar it a must! 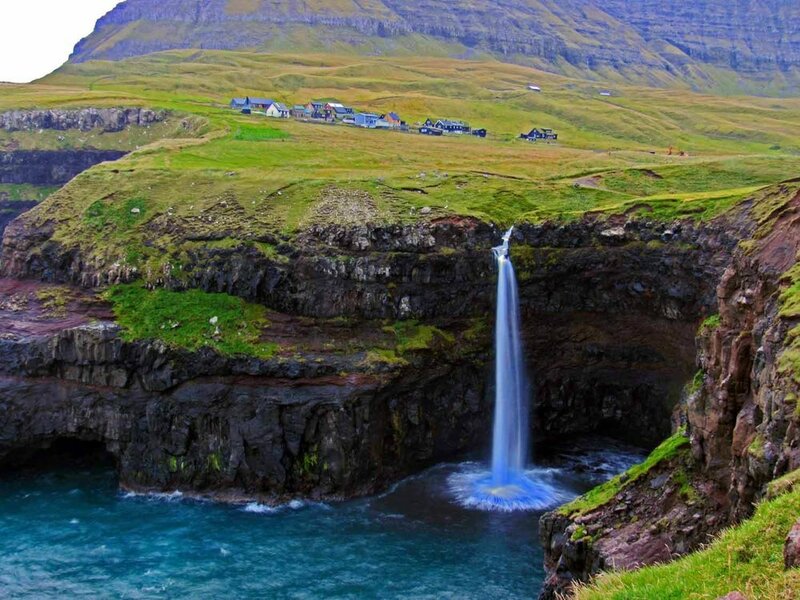 Don't miss the Gásadalur waterfall. A hike around the Faroe's largest lake which will reward you with epic views of a lake looming above the ocean! Nólsoy is a quick 20 minute ferry ride away from Tórshavn. There are no grocery stores or convenience stores or any kind. But what Nólsoy lacks in amenities, it makes up for in charm. The quaint, colorfully clad houses make for the perfect backdrop for an afternoon stroll through this tiny toy-like town. Streymoy is home to the Faroes' largest city and capital, Tórshavn. Explore the rugged terrain and venture out along the black sandy shores of the lagoon in one of the Faroes' most picturesque valleys, Saksun! The Faroes’ tallest peak, Slættaratindur, meaning “Flat Peak” or “Flat Summit” stands 880 meters high on the island of Eysturoy. The summit rewards hikers with stunning views of the entire archipelago. Our top recommendation while visiting Bordoy is to hike from Klaksvík to Hálsur and finally up to Klakkur. Although Klakkur only stands 413 meters high, the view of Klaksvík below as well as the view of Eysturoy, Kalsoy, Kunoy and Bordoy beyond are well worth your time and effort! Life is all about expectations. 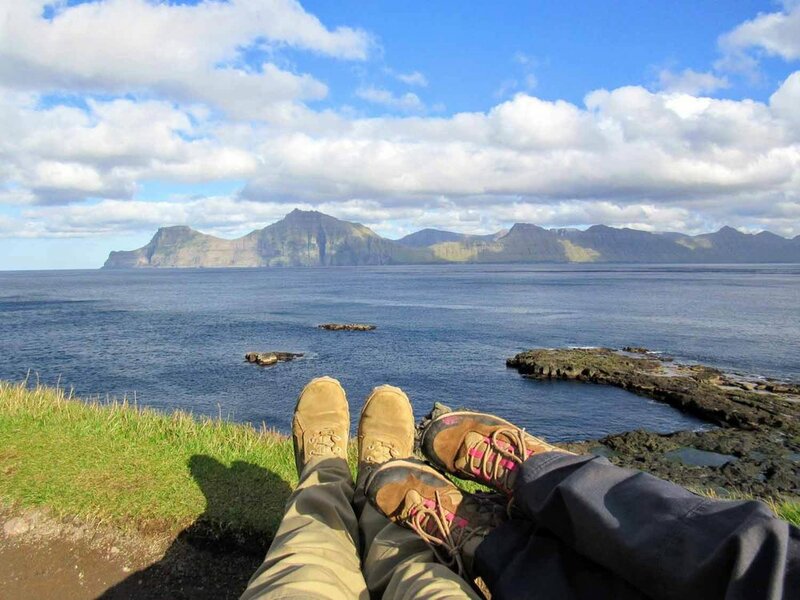 If your idea of a getaway includes basking on the beach in the golden sun, then the Faroe Islands are not for you. 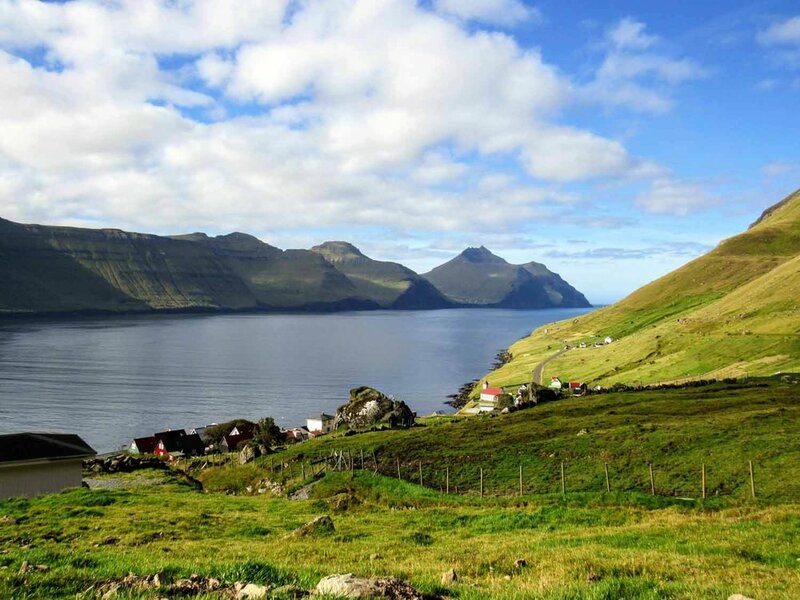 Don’t get us wrong, we LOVE the Faroes, but we’re going to be real with you. Weather in the Faroes is very temperamental - and that coastal wind can be brutal. The day we flew into the Faroe Islands we were greeted by a crazy storm with hurricane-force winds (that night I was sure the roof of our cottage was going to blow off). Weather throughout the rest of the week wasn't as extreme - some days were sunny, some days it down-poured, but it was almost always windy. If you opt for another destination, the weather will undoubtedly be better, but no other place can compete with the magic of this mysterious place. We flew from Iceland as part of a larger trip via Atlantic Airways to arrive in the Faroes. In the age of easy flights connecting almost anywhere to anywhere- it may seem like a pain to get there- but that is what also makes the Faroes special- only those who truly seek will find. If you are travelling from the US we recommend combining your trip to the Faroes with a stop in Iceland, Norway or Denmark- whichever connection makes the most sense for you. Renting a vehicle is an easy way to experience the island- we enjoyed the freedom to explore at our own pace and stop wherever adventure called- we used Unicar- the cheapest car rental available. Use extra caution while driving in the Faroe Islands. Many roads, including tunnels are one lane but two way traffic. Sheep and other animals are frequently on the wet and curvy roads. We used the car ferry to explore Kalsoy by car, and left our car overnight to ride the ferry to Nolsoy. Prices are priced reasonably and regular departures make planning easy. Helicopter flights in the Faroes are considered part of the public transportation- and subsidized by the government. Island hopping by helicopter may be one of the most unique ways to explore. Prices are VERY affordable 85-360DKK (~10-50Eur) per flight! The Faroe Islands government run tourism website may possibly be the best official travel website we have encountered. Nearly everything you need to know, transportion, lodging and tourist activities, can be found in an easy to navigate comprehensive website.